And so, FrightFall has come to its end. I hope everyone enjoyed it! I'd like to thank everyone who participated and also the authors and Kai at Fiction State of Mind who generously donated prizes. Be watching for sign-ups in the next couple of months for A Winter's Respite, January 27 through February 2. I've also got a couple of ideas up my sleeve for in between read-a-thon events so be watching this blog for announcements. Again, thanks for joining me for FrightFall. My wrap-up post will be over at Castle Macabre. I'm afraid I did not do very well on this read-a-thon. Add the link to your wrap-up post in the linky below by 11:59pm CST (U.S. time) on Tuesday (Oct. 8). I will start drawing giveaway winners on Wednesday. So, how is your scary reading journey going so far? I hope the chills are coming your way regularly. HaHa! Share a link to your update below or just update us in the comments. Would like to know how scary your reads really are. ;O) I'll stop by and visit you. Be sure to stop by and check out the prize page that I finally posted. There's a tab at the top of the blog or you can visit it HERE. Also, don't forget about our Twitter chat schedule...hope to "see" you there! Hope you all enjoy the rest of the read-a-thon! Sorry, guys...forgot to add the linky! This is the prize promotion page for all the prizes being given away for the read-a-thon. We have some amazing book prizes donated from some very generous authors and bloggers (and me)! At the end of this post, you will find details regarding how the prizes will be awarded at the end of the read-a-thon. It was the sparkle of energy in his blue eyes that caught me, and I smiled. His gaze was so intense I thought he'd pierced my soul and as he bowed to kiss my hand, his very presence dominated me. Anton had that affect on everyone he met. We wed quickly and weeks later Anton was called to war. It was now nine years since I saw my husband. There were a few letters from him during the war, before France surrendered her lands in North America to the British--after the surrender, nothing. Our troops came home, but not Anton. I fought off the bitterness, and tried to hope, but there had been no word at all for the last five years. Then last winter Monsieur Lavelle arrived at our chateau with a letter from Anton. His letter invited me to join him in the wilderness of Canada at his own secret settlement called Paradis. Anton sent Monsieur Lavelle for me, because he was clearing land, planting crops and building a home for me. It said nothing about where Anton was for all those years, but my husband was alive. He still loved me and wanted me with him. I thought only of Anton and the future as I packed my trunk that very day. The Marquise Jeanne Reneau, 1766 on the shore of the Detroit River. I come from a family of French Canadian and Irish, strict Roman Catholics, and yet such fun to be around. They worked hard, and they were not rich, but through good times and bad they always found some reason to celebrate their life. That is the attitude I tried to portray in my Kindle ebook series, THE LAST LORD OF PARADISE. Generations one through six are now available. I hope you enjoy all six books in The Last Lord of Paradise series, and please don't forget to leave a review. I'd love to know what you think. Note: J.L. asks for an honest review to be posted at Smashwords if you win her book. Thanks! London, 1876. The painter Amos Roselli is in love with his life-long friend and model, the beautiful Daphne - and she with him - until one day she is discovered by another man, a powerful and wealthy industrialist. What will happen when Daphne realises she has sacrificed her happiness to a loveless marriage? What will happen when the artist realises he has lost his most cherished source of inspiration? And how will they negotiate the ever-increasing frequency of strange and bizarre events that seem to be driving them inexorably towards self-destruction. Here, amid the extravagant Neo-Gothic culture of Victorian England, the iconic poem ‘The Lady of Shalott’ blends with mysterious and ghostly glimpses of Tudor history. 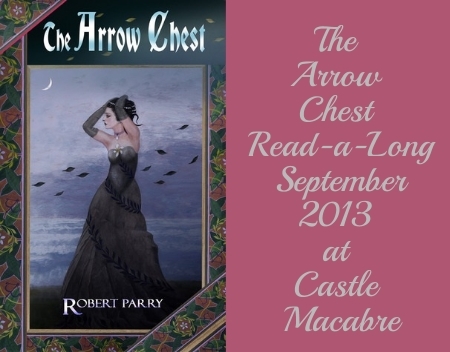 Romantic, atmospheric and deeply dark. WINNERS - Belinda, Diana, Abbie, Julie S, Melissa C.
"You always save the best lies for yourself." - Amador Lockdown Something has moved into the Amador Hotel. Hector, Marcos, Bev, and Tony of the Paranormal Posse are called in to either debunk the haunting or get rid of whatever is causing the problems. 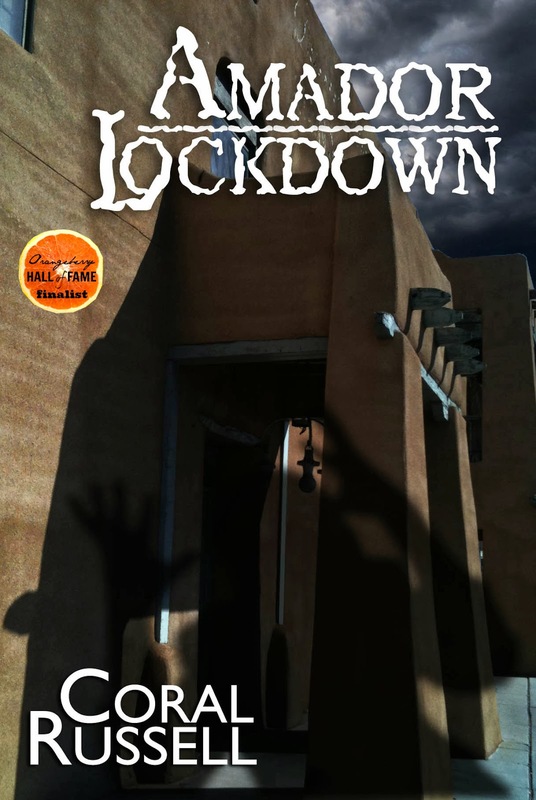 With the surprise arrival of Hector's son, he tries to keep his professional and personal lives separate, but whatever is haunting the Amador Hotel has other plans. Catch a glimpse of the night with this gripping short story in the tradition of 'The Twilight Zone.' A man awakens in a secluded cabin to find he's being watched by a shape with obsidian eyes. Who or what is watching him, and why? 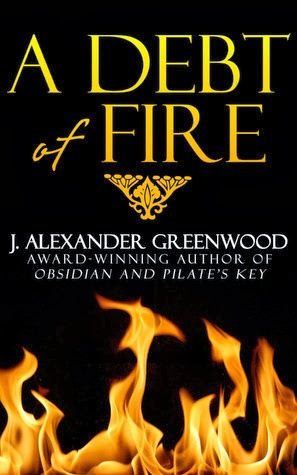 Winner of the 2011 Shelf Unbound Short Story Award. 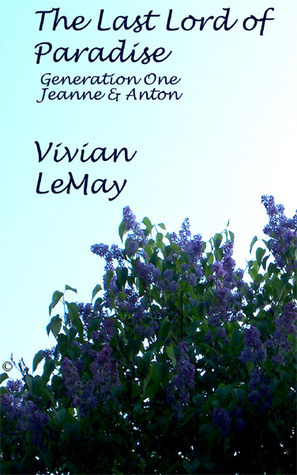 This short tale is from the author of the acclaimed story 'Obsidian' (winner of the Shelf Unbound/Wattpad 2011 Short Fiction Award and the April 2010 WritingRoom Award) and the popular John Pilate Mystery Series. Winner - Tif One winner will receive a $5 Amazon gift card and a Halloween card with swag from Kai at Fiction State of Mind. Giveaway Details: This is a read-a-thon participant only giveaway. To be eligible, you must sign in at the starting line post when you start to read and complete a wrap-up post at the end and link it here at Seasons of Reading at the official read-a-thon wrap-up post (I will give everyone until Tuesday (10/8) at 11:59pm CST to complete their wrap-up posts). We have a total of 14 prizes. This means there will be 14 winners. The first winner chosen will get first choice of all prizes listed and I will continue in this manner until all 14 winners are drawn. All eBook prizes will be sent to winner via email as Kindle gift, etc. Winners will be chosen after the wrap-up post deadline (see above) using random.org. Welcome to the starting line! Are you ready for some scary reading? We're kicking off the scariest month of the year. Let's do it in style, shall we!? Be sure to sign in here, at the beginning, or when you start reading this week. Remember, you do not have to have a blog to join us. You can sign in linking to Facebook, Twitter, Goodreads...wherever you will be updating from. And you don't have to start at the beginning. Start on any day this week, or if you're working all week, join us for the weekend. People can sign in up until Friday night at 11:59pm CST. I'll be stopping by and visiting you so I hope you will have your book piles/reading lists posted. Make sure at least one book is a scary one. Also, a reminder that I do allow children's books. Any books are allowed, as long as one is spooky. In my opinion, it's the quality of what we read that counts, not the quantity so no pressure to read vast amounts, unless you just really, really want to, or you're wired that way (you know who you are!). If you want to read the original sign-up post, you can take a look HERE. I will be checking in on Twitter on and off throughout the week too. Just remember to have fun this week. Again, my read-a-thon credo is "a week of relaxed reading during which we can personally challenge ourselves and whittle away those ever looming TBR piles/shelves/libraries." 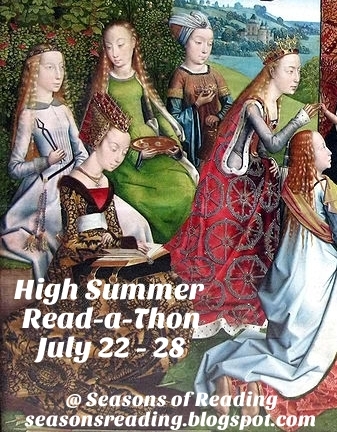 I have done away with mini-challenges so we can focus more on the reading, but please do stop by and visit your fellow read-a-thon-ers if you get a chance...and again, we will also be on Twitter for social interaction. I will also post a mid-week check-in on Thursday so you can share your progress if you like. I will have the prize page posted during the day on Monday (or Tuesday) so come back here to find it. I will also have easy access links at the top of the blog to the prize page, the sign-in post, etc. Okay, I think that's about it. I hope you all have fun this week. If you have any questions, please leave me a comment below, or contact me via the form by clicking the 'contact' tab at the top. 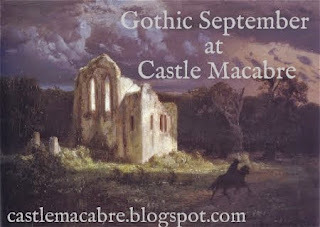 I will be posting my updates at my blog, Castle Macabre, so I hope you will stop by and visit me. It's here! 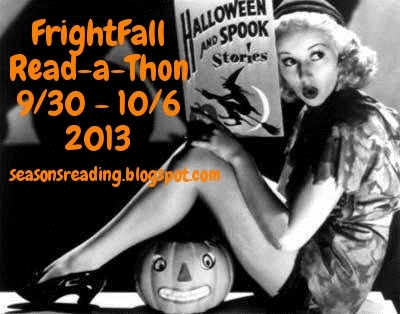 The official sign up for the FrightFall Read-a-Thon! A week long fest of scary reading (well, at least one scary book anyway). 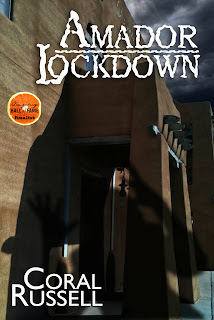 All you have to do to participate is read at least one horror/scary book. For the faint-hearted among you, it can be a spooky mystery, a scary thriller, or something classically gothic. Children's books are also allowed. It's not so much about the quantity of our reading, but the quality, right? But...if this read-a-thon helps you to mark a bunch of books off your TBR pile, so be it! As you all know, I will not be hosting any mini-challenges. I prefer to focus on the reading, as many of my participants do. However, if anyone else would like to host a mini-challenge, you are more than welcome. Of course, there will be a big giveaway at the end. And we will have a few scheduled Twitter chats again. Schedule will be listed in the starting line post. Our twitter hashtag is #FrightFall. As I did during High Summer, I will post a midway check in too. Official dates and times for the read-a-thon...Monday, September 30 at 12:00am EST through Sunday, October 6 at 11:59pm EST (adjust times according to your particular time zone). I have decided to make Seasons of Reading not only a read-a-thon blog, but also a blog to spread the word about events I'm hosting at my other blogs. Also, if you haven't noticed, there is a tab at the top for other read-a-thons around the blogosphere. I hope this blog will help bring more people to the joy of reading! I'm hosting another write-a-thon! Sit Down and Write 4 starts on Monday. I'm hosting at my writing blog, Stories Inside. This write-a-thon is not only for people who are writing novels or short stories, but also for people who need to catch up on blog writing, etc. For all the details and to sign up, visit this POST at Stories Inside. Over at Castle Macabre, I'm hosting two events this Fall. Gothic September, featuring a read-a-long of Robert Parry's Gothic historical novel, The Arrow Chest (about the book). 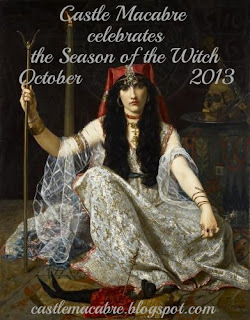 In October, I'm once again hosting Season of the Witch. For all the details on both events, visit this POST at Castle Macabre. I hope you will join me for one, or all, of these events! 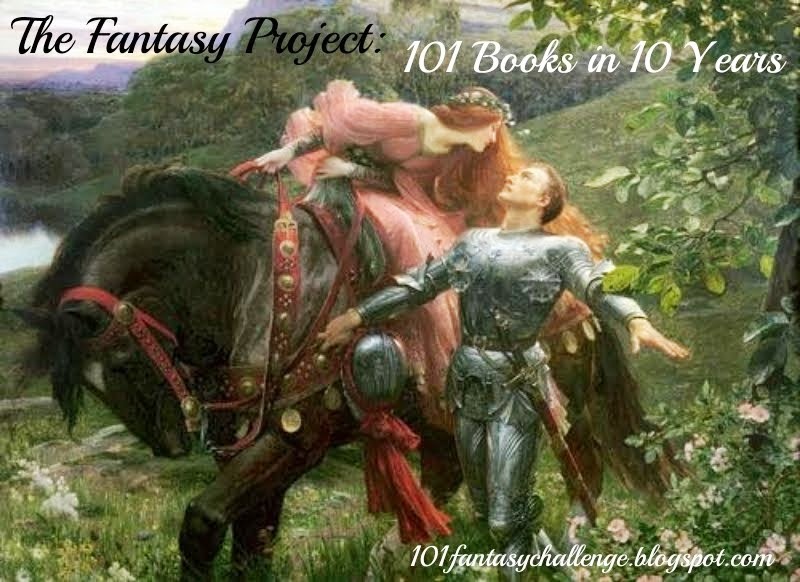 On the reading challenge front, come check out my revamped fantasy challenge, The Fantasy Project: 101 Books in 10 Years. You can get the details and sign up at the dedicated blog. We also have a Goodreads group! A little over a month to go for FrightFall! Can't wait! Sign ups coming soon! Another read-a-thon has come to an end. I hope everyone enjoyed it! I'd like to thank everyone who participated. I'd also like to thank the wonderful authors who donated prizes and Laura at Book Snob for hosting her mini-challenge (still going on until the end of the read-a-thon at midnight). I'm looking forward to the FrightFall Read-a-Thon in Sept/Oct (30th - 6th) How about you? Be watching for sign-ups. 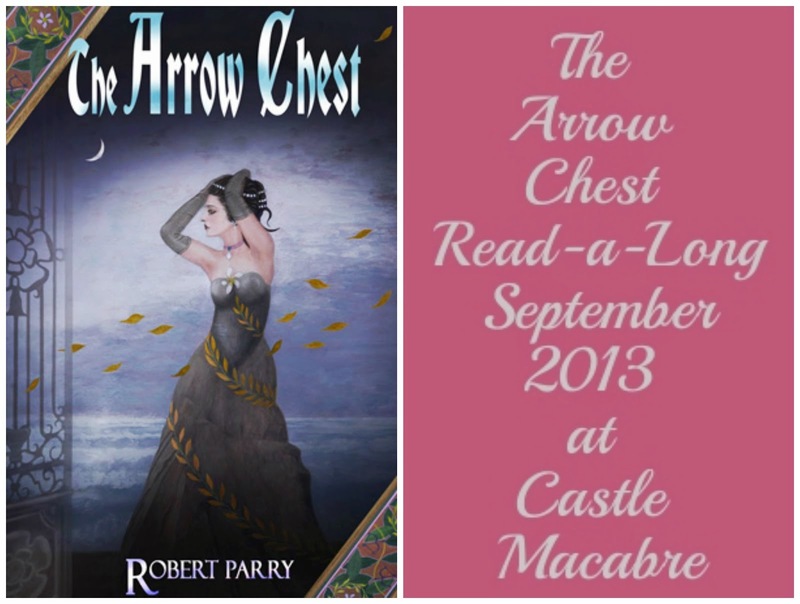 While I have your attention, I'd like to mention some events coming up on my sister blogs. 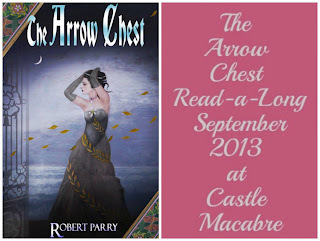 At Castle Macabre, my horror/speculative fiction blog, I'm hosting Gothic September and a read-a-long of The Arrow Chest by Robert Parry, a gothic, historical fiction novel. In October, I'll be once again hosting Season of the Witch, which will be a month long spooky event. Be watching at the Castle Macabre blog for details and sign-ups. Also, coming up in August, another Sit Down and Write Write-a-Thon, probably toward the end of the month. These usually last for two weeks. 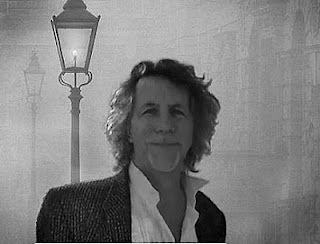 I don't have a button yet, but you can watch for news on this at my writing blog, Stories Inside. Again, thanks for joining me for High Summer. 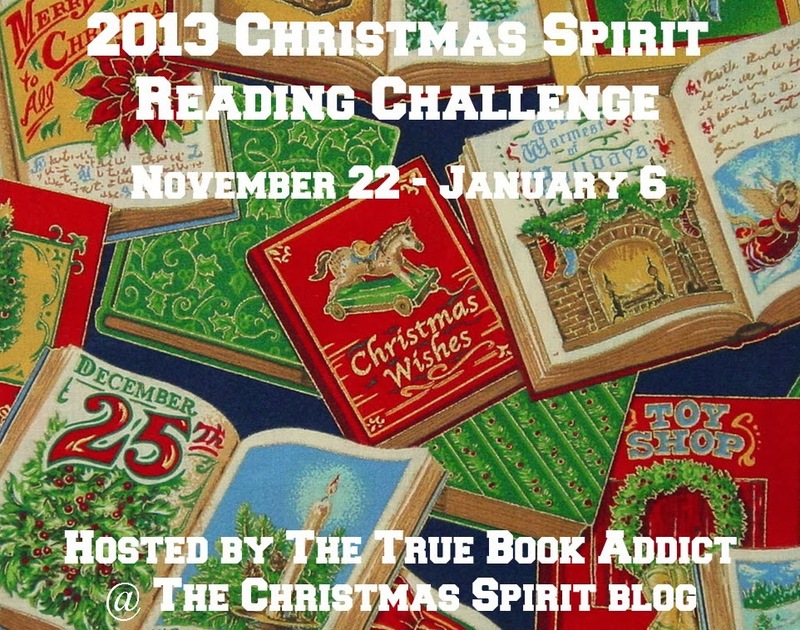 My wrap-up post will be over at The True Book Addict in my update post. Add the link to your wrap-up post in the linky below by 11:59pm CST (U.S. time) on Tuesday. I will start drawing giveaway winners on Wednesday. I thought I would do things a bit differently this time and have a mid-week check in linky for those who want to share their progress in one place for everyone to easily access. Just link up your most recent update. This is not mandatory for the giveaway. I just thought it would be a nice extra for us to more easily interact socially. The prize promotion page has been posted. You can access it by clicking the tab at the top of the blog, or by clicking HERE. Check out all the awesome book prizes on offer this time brought to you by some generous authors (and me). 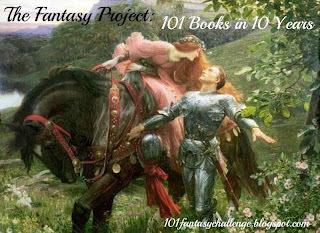 Laura at Book Snob is hosting a mini-challenge. Click the tab at the top of the blog, or click HERE to check it out. Hope you can join us for one, or all! And I hope everyone is enjoying the read-a-thon! This is the prize promotion page for all the prizes being given way for the read-a-thon. We have some amazing book prizes donated from some very generous authors! 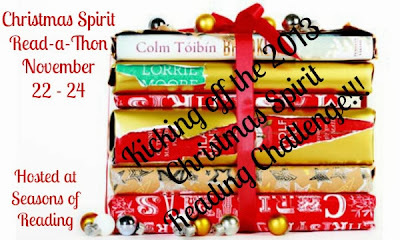 At the end of this post, you will find details regarding how the prizes will be awarded at the end of the read-a-thon. For more information, please visit Stephanie Thornton's website. You can also find her on Facebook and Twitter. Historical Fiction at its best, The Golden Dice explores the lives of women in war while giving a glimpse into the sexuality, religion, and politics of Roman and Etruscan cultures, two great civilizations of ancient history. Elisabeth Storrs has long had a passion for the history, myths and legends of the ancient world. She is an Australian author and graduated from the University of Sydney in Arts Law, having studied Classics. 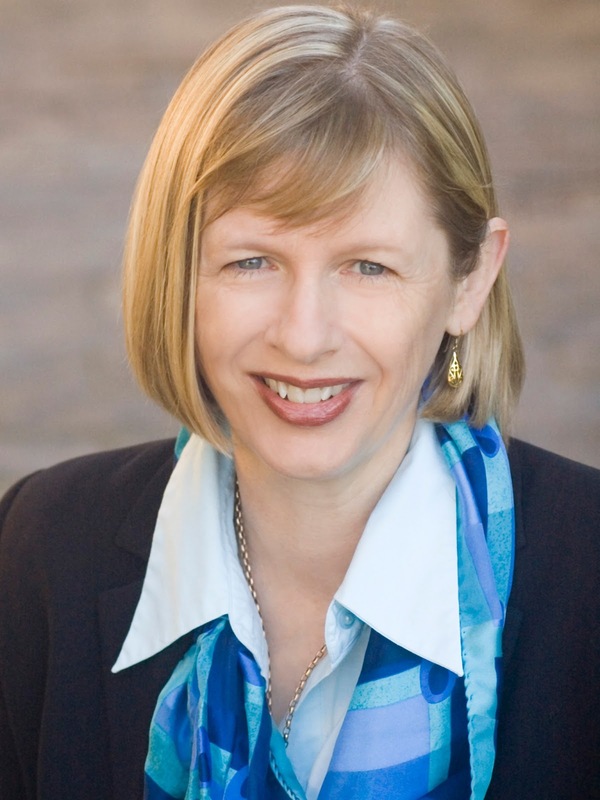 Over the years she has worked as a solicitor, corporate lawyer, governance consultant and business writer. 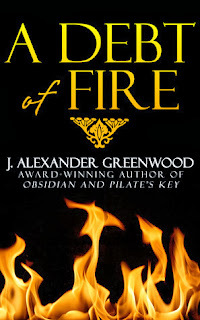 Her Tales of Ancient Rome series chronicles the events of a ten year siege between Rome and the Etruscan city of Veii. 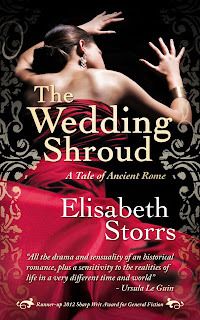 The first book, The Wedding Shroud, ends when war is declared. The Golden Dice continues the story seven years later at the height of the conflict. 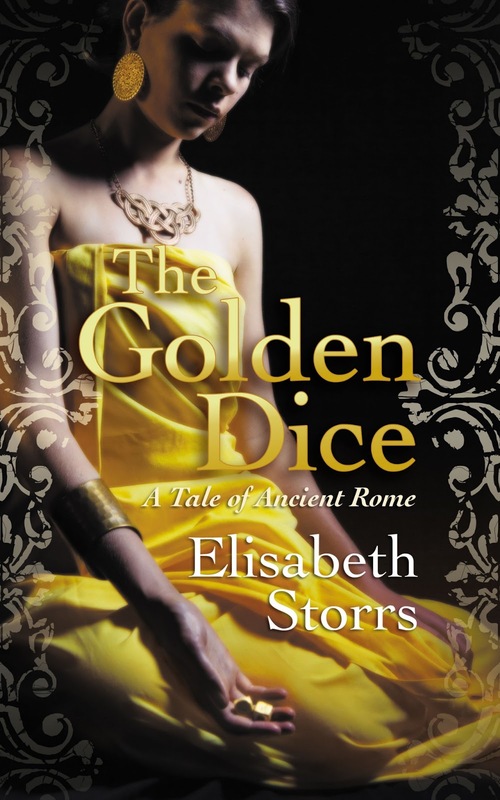 In addition to the Roman treaty bride, Caecilia, two other strong female characters are introduced in The Golden Dice: Semni, a young Etruscan girl, and Pinna, a Roman tomb whore. You will find more information on the background to the book in this post on Elisabeth’s blog, Triclinium. The Wedding Shroud and The Golden Dice are available on Amazon or via other retailers listed on her website. And Elisabeth would love to connect with you on Facebook and Twitter. 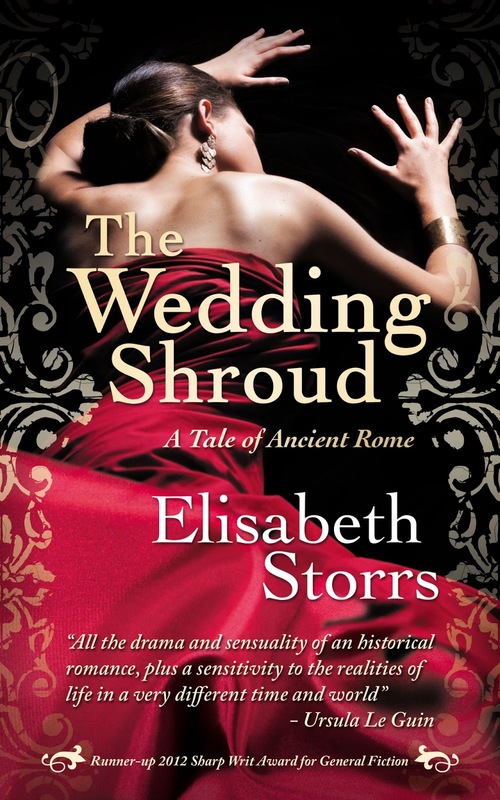 The Wedding Shroud was judged runner-up in the international 2012 Sharp Writ Book Awards for general fiction. On a snowy Christmas Eve, a beautiful young mother goes out to buy a few last minute gifts and never returns…. ….thirty years later, her daughter picks up her trail. As the owner of an estate sale business, Audrey Nealon knows a lot about art, antiques, and the unlikely places old people hide their treasures. 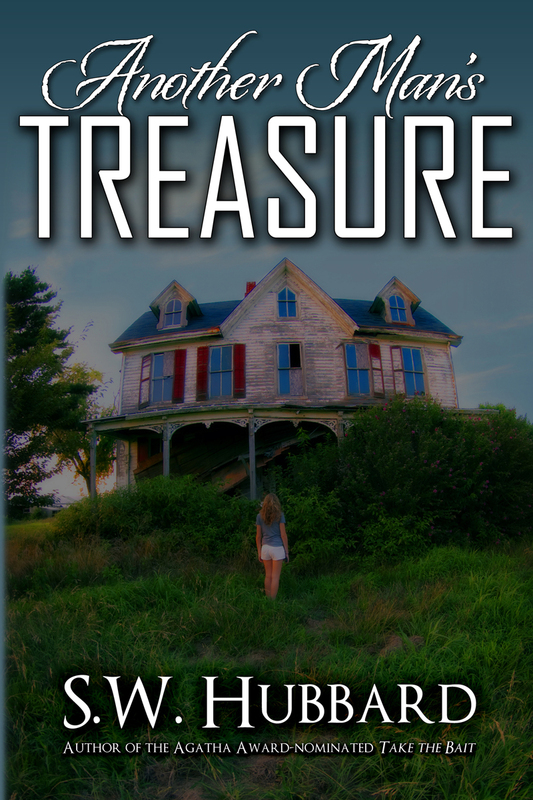 But the shabby home of an elderly widow holds alarming surprises: street drugs in the silverware drawer, a trunkful of jewels in the attic, and the distinctive ring Audrey’s mother was wearing the night she disappeared. Believing the truth will bring her peace, Audrey relentlessly pursues clues to her family’s troubled history. But each fact Audrey uncovers drags her further away from the love she craves, and puts her on a collision course with people more determined, more ambitious, and more dangerous than she can fathom. Ultimately, some truths are too awful to bear, and too terrible to share. 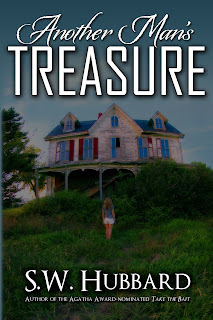 "Verdict: Readers will fall in love with the relentless Audrey, who is hell-bent on finding out why she was robbed, not only of her mother, but also of any hope she had for a "normal" childhood in a happy family. S.W. 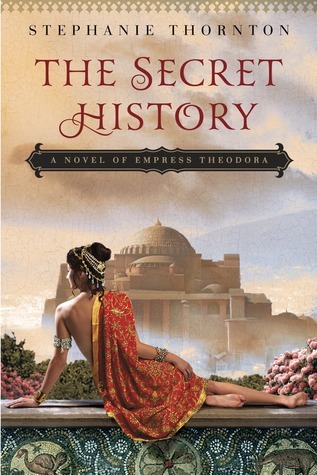 Hubbard has penned an absorbing treasure." 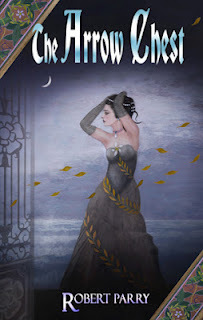 "Question follows question, clue follows clue, and the breathless reader can scarcely keep up with all the twists and turnsin Audrey's life once this story's wheels start turning." S.W. Hubbard’s most recent novel is Another Man’s Treasure. She is also is the author of three mystery novels set in the Adirondack Mountains: Take the Bait, Swallow the Hook, and Blood Knot. Her short stories have appeared in Alfred Hitchcock’s Mystery Magazine and the anthologies Crimes by Moonlight, The Mystery Box, and Adirondack Mysteries. She lives in Morristown, NJ, where she teaches creative writing to enthusiastic teens and adults, and expository writing to reluctant college freshmen. 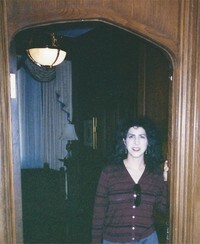 To read the first chapter of any of her books, visit: http://www.swhubbard.net. 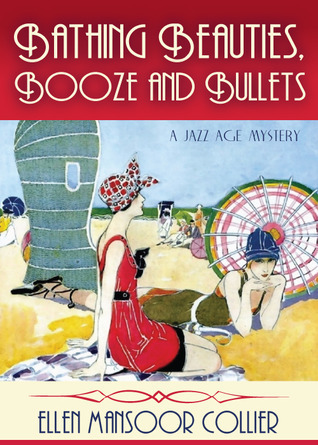 Before Las Vegas, Galveston, Texas was called the “Sin City of the Southwest.” Real-life rival gangs fight over booze and bars during Prohibition in this soft-boiled Jazz Age mystery, inspired by actual events. and the snooty social circles she covers in the Galveston Gazette. After a big-shot banker with a hidden past collapses at the Oasis—as speakeasy secretly owned by her black-sheep half-brother, Sammy Cook—Jazz suspects foul play. Was it an accident or a mob hit? more, but despite her mixed feelings she refuses to rat on Sammy. As turf wars escalate between the Downtown and Beach gangs, Sammy is accused of murder. To find the killer, Jazz must risk her life and career, exposing the dark side of Galveston’s glittering society. Worse, her half-brother Sammy Cook, owner of the Oasis, a speakeasy on a rival gang’s turf, asks her to call in a favor from handsome Prohibition Agent James Burton: He wants Agent Burton to raid the Hollywood Club during the bathing beauties dance routine--or risk revenge from the Downtown Gang leader. Her loyalties torn, Jazz is faced with an impossible task that could compromise both of their jobs and budding romance. Meanwhile, Jazz fends off advances from Colin Ferris, an attractive but dangerous gangster who threatens Sammy as well as Burton. 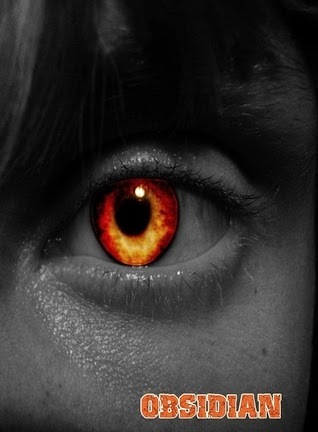 In the end, she must risk it all to save her friends from a violent killer hell-bent on revenge. Inspired by actual events. 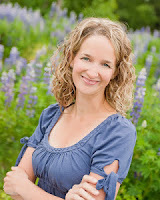 Ellen Mansoor Collier is a Houston-based freelance magazine writer and editor whose articles and essays have been published in several national magazines, including: FAMILY CIRCLE, MODERN BRIDE, GLAMOUR, BIOGRAPHY, COSMO, PLAYGIRL, etc. Several of her short stories have appeared in WOMAN'S WORLD. A flapper at heart, she’s the owner of DECODAME, specializing in Deco to retro vintage items. Formerly she's worked as a magazine editor, and in advertising and public relations (plus endured a hectic semester as a substitute teacher). She graduated from the University of Texas at Austin with a degree in Magazine Journalism. 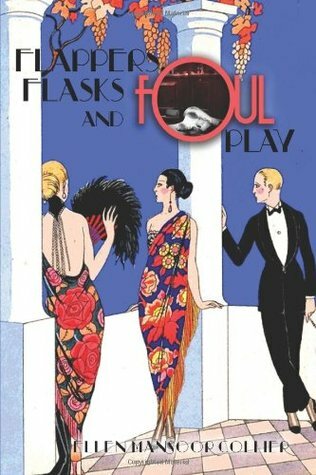 FLAPPERS, FLASKS AND FOUL PLAY is her first novel, published in 2012, followed by the sequel, BATHING BEAUTIES, BOOZE AND BULLETS, released in May 2013. She lives in Houston with her husband and Chow mutts, and visits Galveston whenever possible. 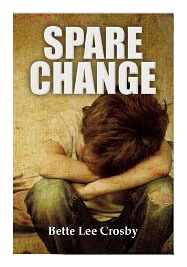 From the Bestselling Author of Spare Change, comes a powerful story that is a heart-wrenching reminder of how fragile relationships can be. 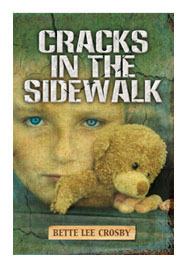 Cracks in the Sidewalk is based on a true story. After years of writing letters, hoping to find the children, hoping to bring them back, Claire receives a reply...a dog-eared gray envelope is stuffed into her mailbox, but will it bring hope or simply put an end to the waiting? Can a single letter change the lives of four people? Claire McDermott and her grandchildren are about to discover letters are a journey of the heart which can ultimately deliver people to their destination. Reviewer's Choice 2012 Award Winner! 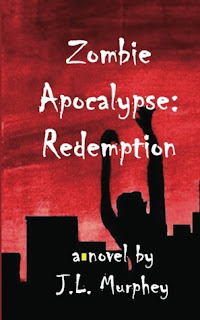 In a story that's been compared to John Grisham's The Client, eleven year-old Ethan Allen Doyle has witnessed a brutal murder and now the boy is running for his life. In the time-tested tradition of Southern Fiction, Crosby unveils the darkest side of human nature and then rewards her readers with a beautiful tale of love, loss and unexpected gifts. Olivia Westerly is the only person Ethan Allen can trust, and he's not too sure he can trust her. She's got no love of children and a truckload of superstitions--one of them is the belief that eleven is the unluckiest number on earth. Olivia avoided marriage for almost forty years. But when Charlie Doyle happened along, he was simply too wonderful to resist. Now she's a widow with an eleven-year-old boy claiming to be her grandson. With a foul mouth, dark secrets and heavily guarded emotions, Ethan Allen Doyle is not an easy child to like. He was counting on the grandpa he'd never met for a place to hide, but now that plan is shot to blazes because the grandpa's dead too. He's got seven dollars and twenty-six cents, his mama's will for staying alive, and Dog. But none of those things are gonna help if Scooter Cobb finds him. Giveaway Details: This is a read-a-thon participant only giveaway. 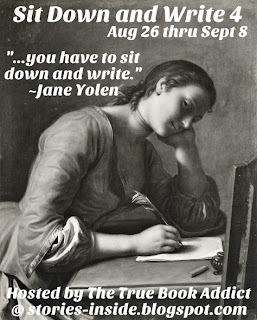 To be eligible, you must sign in at the starting line post when you start to read and complete a wrap-up post at the end and link it here at Seasons of Reading at the official read-a-thon wrap-up post (I will give everyone until Tuesday (7/30) at 11:59pm CST to complete their wrap-up posts). We have a total of 12 prizes. This means there will be 12 winners. The first winner chosen will get first choice of all prizes listed and I will continue in this manner until all 12 winners are drawn. All eBook prizes will be sent to winner via email as Kindle gift, etc. Winners will be chosen after the wrap-up post deadline (see above) using random.org. 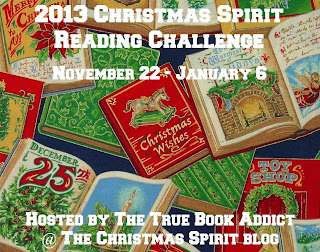 Be sure to check out Laura's (Book Snob) mini-challenge/giveaway HERE. She's created an awesome challenge with some great prizes! Any questions? Contact me via the contact tab at the top of the blog. A big thanks again to the generous authors and to Laura for hosting her challenge!